Antichrist Prophecies List - Who is the Antichrist? The antichrist man is part of the fourth beast, the terrible beast. He is one of the ten horns, symbolizing authority. The antichrist man is the little horn, implying he does not have the power of the other horns. Possibly the antichrist man is just some minor world leader, unlike the other horns who are likely presidents, prime ministers, and kings. Three of the first kings that are in the way of the antichrist rising to power will be removed. The antichrist man will have a mouth that will speak great things – huge; domineering things. There will be something about the antichrist that will just exude absolute leadership, power, and greatness, even in his appearance. The antichrist man will severely persecute Jews and Christians, in that order, and prevail until Jesus returns. Ten kings shall arise first in the antichrist kingdom. Then the antichrist will arise after them. 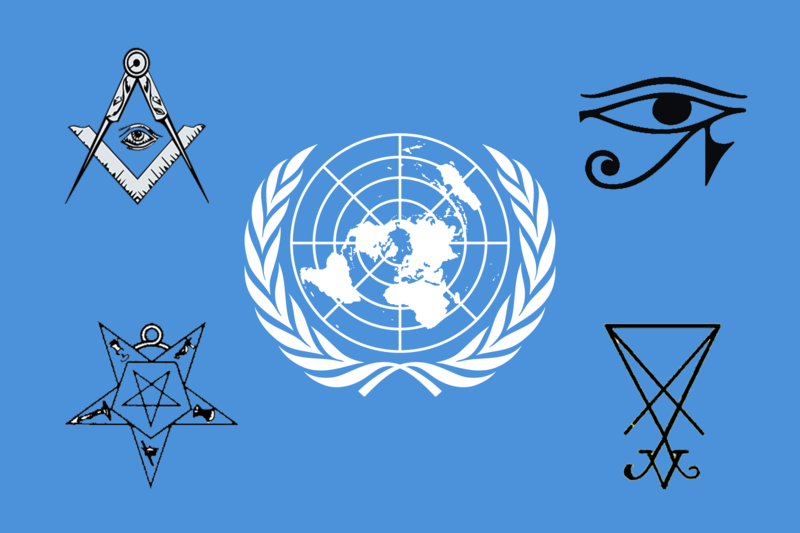 There will be ten major world leaders running the revised U.N. – the antichrist kingdom. Then the antichrist will arise after them when three are put down and he will be the head of the revised U.N. The antichrist will be different than the other kings. It is uncertain in what way he is different other than he will start smaller in power than the others before he rises to the greatest in power in the world. The antichrist will subdue three kings. This may or may not be the same three kings that were of the ten horns that were eliminated before he rose to power. The antichrist will speak words against God (“great” is not in the original language). The antichrist will want to change times – season, time. I am uncertain what this is means. The antichrist will want to change laws of sovereign states to align with a one-world government. The concept of a sovereign nation-state will need to be eliminated. The true Christians will resist this and so shall be persecuted. The holy ones shall be given into the antichrist’s hands for 3 1/2 years. The antichrist will have authority to persecute Jews and Christians for 3 1/2 years, after which Jesus returns. Jesus will return and judge the governments of the world including the antichrist and his kingdom and remove his authority and power. Jesus will destroy the antichrist and his kingdom. The “he goat” is Alexander the Great. His kingdom was split into four. From the conquered territory of the Greeks the antichrist and his kingdom will arise. This include some of Europe, much of the Middle East all the way to India, and some of North Africa. This could be a reference to sinners coming to fullness, in sin. Or it could be a reference to the Jewish rebellion against the antichrist kingdom who shuts down the Jewish temple and stops the daily sacrifices as mentioned in Daniel 8:11-13. The antichrist is a king of fierce countenance. The antichrist understands dark sentences. The antichrist man will be part of the secret elite who implement the New World Order through their power, influence, and money behind the scenes. He will part of the grand plan that has been working in the shadows since before the founding of the United Nations. The antichrist will become exceeding great toward the south, east, and Israel. The antichrist will move his armies from north, Europe and Russia, to south all the way to northeast Africa, invading many countries including Israel. The antichrist will grow so great in power that he will take the highest place in rank on earth. In the spirit realm, his throne will be so great it will exceed those spiritual principalities, powers, mights, and dominions of the Second Heaven, i.e. the angelic realm. The antichrist will cast down the angelic powers. The antichrist’s authority will be so great, he can cast down the spiritual angelic authorities from the Second Heaven to earth because the devil will give the antichrist his authority. The antichrist will stamp upon the angels that he deposed. The antichrist will magnify, increase or grow, in authority to the place of spiritual leader over the fallen armies of Second Heaven. (“Himself” is not in the original language; magnified means increase or grow). The antichrist will take away the daily sacrifices of the Jewish Third Temple. The antichrist will cause the worship of God and daily sacrifices to cease. This will cause the Jews to rebel. He will retaliate with great force and try to wipe out all Jews in Israel. The antichrist and his fallen angels will destroy the Jewish temple after he walks into it declaring he is God at the end of the Tribulation. The antichrist will receive an army to use against the Jews who rebelled when he stopped the worship of God at the Jewish temple and daily sacrifices. A massive U.N. peacekeeping army will be granted to the antichrist to quell the Jewish rebellion. The antichrist will cast down truth to the ground successfully. The antichrist will succeed at destroying the truth of what is actually happening through deceptions. The antichrist’s power shall be mighty but not by his own power. He will be powerful in the strength of wealth and influence or the access to it. He will also have great power from the militaries that he commands, the U.N. peacekeepers which are NATO, Russian, and Chinese militaries. The antichrist will succeed in his military campaigns. The antichrist will advance mightily in his military campaigns. The antichrist will destroy the mighty. The antichrist will destroy the holy people. The antichrist will destroy Jews and Christians. The antichrist shall magnify himself in his heart. The antichrist will have so much power and might as the head over the revised United Nations, he will think he is God. The antichrist will use peace to destroy many – security. The antichrist will offer nations security as they yield their sovereignty to the United Nations and give up their arms and armies. He will then occupy these countries with his forces and destroy any nation that disobeys him. The antichrist will stand up against the Prince of princes. The antichrist will oppose Jesus Christ. The antichrist will be destroyed, not by the hand of a man or earthly weapons, but by Jesus Christ Himself. The antichrist is a prince that is to come. The antichrist is of a certain people that destroyed the city of Jerusalem and Jewish temple. We know the people that destroyed the Jerusalem and the Jewish temple in 70 A.D. were the Romans. Therefore, the antichrist must be of the Romans in some form or fashion. Most likely, the antichrist will arise somewhere out of the ancient Roman territories, namely Europe, the Middle East, or parts of North Africa. Also, the European Union is basically a revived or revised Roman Empire in many ways. The antichrist will confirm, or strengthen, a covenant with many for seven years. The antichrist will start or strengthen an existing deal through the United Nations. This covenant, however, may be behind closed doors so we may not know about it. The antichrist will not be revealed as the antichrist until the end of the seven years when he proclaims he is God in the Jewish Temple. If we see a man do a seven year peace deal with Israel, we all will know that he is the antichrist, and I do not think it will be that easy to uncover him. He must stay hidden until the end to accomplish his goals; so do not expect a global leader making a seven year covenant to just appear. It could be a 15 year “covenant with many” and have nothing at all to do with Israel. In the midst of the seven years, the antichrist will cause the daily sacrifice and worship of God in the Jewish temple to cease. Somewhere toward the middle of the seven years, close to the 3 1/2 years mark but not exactly, he will cause the sacrifices and worship to cease. Again, this will be behind closed doors so that we cannot know exactly who does it. The antichrist will cause the Abominations of Desolation which will occur sometime after the sacrifices cease. The antichrist will continually attack Israel until Jesus returns to destroy him. The King of the South will push north against the antichrist and his lands. A Sunni Muslim leader is the king of the South, possibly the leader of ISIS or some other. They will push north into Europe and possibly Russia, maybe through the Mediterranean Seo or by land or both. This may be the initial cause of WWIII. They are so radicalized they actually believe they will win because “Allah is with them,” even though the odds are heavily against them. They will be deceived into thinking they can win just like Emperor Hirohito in WWII. And they will lose badly just like Japan. The antichrist, known as the King of the North, will assemble a great army and come against the King of the South. The army of the antichrist will have many vehicles and ships so it will be a land and sea invasion war. The antichrist shall enter into many countries. The antichrist will invade Syria, Iraq, Saudi Arabia, Israel and other countries pushing the Sunni Muslim forces south all the way to North Africa. The antichrist will personally enter Israel. The antichrist will overthrown many countries. The antichrist will not overthrow Jordan. The antichrist will send armies to completely overthrow Egypt. Egypt in some way sided with the Sunni Islamic terrorist in a major way, therefore they will be completely overthrown. The antichrist will have power over the treasures of Egypt. The antichrist will loot the nations he invades to support his massive army campaigns. Libya and Ethiopia will be the stopping place of his invasions south. News from the east and north will trouble the antichrist. News from Israel, northeast from his position in Africa, not bowing to the two-state solution will infuriate the antichrist and he will move out to kill all Jews. The antichrist will leave off his military campaign in Africa and move north with great fury to destroy many. The antichrist’s military tent will be moved to headquarter in Israel between the seas in the glorious holy mountain. The antichrist will amass the greatest army ever from the nations to kill every single Jew in Israel. He will start to succeed. It is at this point he goes into the Jewish temple to proclaim he is God. The antichrist shall come to his end at this point. Jesus returns to destroy the antichrist and his armies. No one will help the antichrist when Jesus comes to destroy him. From the time the antichrist takes away the daily sacrifice at the Jewish temple until he sets up the Abomination of Desolation will be 1,290 days. The antichrist will take away the daily sacrifice about the mid-point of the final seven years. 1,290 days later, at the end of the seven years, he will set up the Abomination of Desolation. That is the point he goes into the Jewish temple and proclaims he is God. There will first come an apostasy of the Church. Then the antichrist will be revealed to be the antichrist. Then Jesus returns to rapture His true Church. This gives the indication that everything the antichrist does will be in secret until the end. We will not know who he is until just before Jesus returns. The antichrist will work in a shadow government behind closed doors at first then take over the revised United Nations. If we could see him and what he is doing, we would resist him and he could accomplish little. Therefore, it is imperative for him to stay unseen. He is one of the secret elite that works unseen and unnoticed until the very end when he reveals himself and proclaims he is God on the temple mount. 2 Thessalonians 2:4 KJV Who opposeth and exalteth himself above all that is called God, or that is worshipped; so that he as God sitteth in the temple of God, shewing himself that he is God. The antichrist will oppose God. The antichrist will exalt himself above God. The antichrist will exalt himself above all gods that are worshipped. The antichrist, as God, will sit down in the temple of God. The antichrist will ascend the Temple Mount, go into the Jewish Third temple and proclaim he is God. The antichrist will think and say he is God. 2 Thessalonians 2:6 KJV And now ye know what withholdeth that he might be revealed in his time. Something withholds the antichrist from being revealed. I know of many varying opinions on what is holding the antichrist from being revealed and I disagree with all of them. I believe it is not a force for good holding him from being revealed because once he is revealed, we would oppose him and he could accomplish little. God, the Holy Spirit, the angels, and the Church want him revealed. It is the devil that does not want him revealed because he cannot succeed in his secret work, pulling the puppet strings of the nations, once he is exposed. There is nothing in the Bible that says he will be exposed during the seven years, at least not until the end. I’ve listed all the Scriptures concerning the antichrist here so you can see for yourself if what I say is true. There is a time for the antichrist to be revealed. 2 Thessalonians 2:7 KJV For the mystery of iniquity doth already work: only he who now letteth will let, until he be taken out of the way. The mystery of iniquity is working in conjunction with the antichrist. The mystery of iniquity is the deception working in conjunction with the antichrist so he can accomplish his work. It is this demonic force of the mystery of iniquity and the deception that will be taken out of the way so the antichrist can be revealed. There is a spiritual force deluding the world, holding down or “lett[ing]” over the eyes of the world a deception. The deception will be removed in the end and the antichrist exposed. Once “he who now letteth” is taken out of the way, the antichrist will be revealed. “He who now letteth” is the mystery of iniquity and the deception it holds over the whole world about what is really going on behind the scenes concerning the antichrist. The Lord Jesus will consume the antichrist with the spirit of His mouth (The Sword of His Word). The Lord Jesus will destroy with the brightness of his coming to annihilate the antichrist. The antichrist comes by the working of Satan. The antichrist will fully deceive the unrighteous. God will permit the strong delusion of the antichrist to succeed in the unrighteous. Rev 16:13-14 And I saw three unclean spirits like frogs come out of the mouth of the dragon, and out of the mouth of the beast, and out of the mouth of the false prophet. (14) For they are the spirits of devils, working miracles, which go forth unto the kings of the earth and of the whole world, to gather them to the battle of that great day of God Almighty. The antichrist man has a demon which is an unclean spirit. The word “come” in this verse is not present in the original language. This is saying these three, the dragon, the beast, and the false prophet, speak by the power of the unclean spirits. The antichrist is the essence and primary speaker of the beast which is the revised United Nations. The antichrist works miracles by the power of the demon in him. The antichrist will summon the kings of the earth to gather to the battle of that great day of God Almighty, Armageddon. Rev 17:10-11 And there are seven kings: five are fallen, and one is, and the other is not yet come; and when he cometh, he must continue a short space. (11) And the beast that was, and is not, even he is the eighth, and is of the seven, and goeth into perdition. The antichrist will be part of the seventh kingdom. The seventh kingdom is a revised Roman kingdom. The seventh kingdom is ruled by a fallen angel that dwells in the Second Heaven. That angel will eventually fall to the earth and possess the man known as the antichrist. This is how the antichrist man and his earthly kingdom of the revised United Nations becomes the eighth kingdom. When the antichrist man is possessed by this fallen angel, he becomes known as “the beast”, the same term used to describe the revised United Nations in Revelation 13. The antichrist’s kingdom and power will continue a short space. The antichrist’s kingdom and power, the revised United Nations, will last 3.5 years. The antichrist spirit and antichrist man will deny that Jesus is the Christ. The antichrist spirit and antichrist man will also deny the Father. The antichrist spirit and antichrist man will be deceivers. The antichrist man, called the “Beast” here, will be cast alive into a lake of fire burning with brimstone. The antichrist will be tormented day and night forever, along with the devil and false prophet. **John 5:43 I am come in my Father’s name, and ye receive me not: if another shall come in his own name, him ye will receive. The antichrist may come in his own name. The religious Jews may receive the antichrist. **Isaiah 14:24-25 The LORD of hosts hath sworn, saying, Surely as I have thought, so shall it come to pass; and as I have purposed, so shall it stand: (25) That I will break the Assyrian in my land, and upon my mountains tread him under foot: then shall his yoke depart from off them, and his burden depart from off their shoulders. The antichrist may be known as the Assyrian; God will break him in the land of Israel upon the mountains and tread him under foot. The Assyrian’s yoke will depart from off of people. **Isaiah 10:5-6 O Assyrian, the rod of mine anger, and the staff in their hand is mine indignation. (6) I will send him against an hypocritical nation, and against the people of my wrath will I give him a charge, to take the spoil, and to take the prey, and to tread them down like the mire of the streets. God will send the Assyrian against a hypocritical nation to take spoil, prey, and tread them down in the mire of the streets – soiled with sin; hypocritical; godless; profane; irreligious; impious. **Isaiah 10:7 Howbeit he meaneth not so, neither doth his heart think so; but it is in his heart to destroy and cut off nations not a few. The Assyrian will not mean to do God’s will, but thinks to do his own will. However, he will be doing what God intends. The Assyrian’s heart will hope to destroy many nations. **Isaiah 10:8 For he saith, Are not my princes altogether kings? The Assyrian will have his own princes that he says are kings. **Isaiah 10:9 Is not Calno as Carchemish? is not Hamath as Arpad? is not Samaria as Damascus? The Assyrian will conquer cities, Calno, Carchemish, Hamath, Arpad, Samaria, and Damascus. So, if the Assyrian is the antichrist, he will invade Israel from the north where ancient Samaria is located. Samaria is the area of Megiddo, the place of the Battle of Armageddon. Note also that the Bible prophecies Damascus the capital of Syria will be totally destroyed which has never happen yet (Isaiah 17). Therefore, if the “Assyrian” is the antichrist, a primary place of his military campaigns will be modern-day Syria. This is the current battleground versus the Islamic State, a.k.a. ISIS or ISIL. The antichrist and the nations of the New World Order will sweep into Syria to subdue ISIS because of a major threat or terrorist act that they carried out. **Isaiah 10:24 Therefore thus saith the Lord GOD of hosts, O my people that dwellest in Zion, be not afraid of the Assyrian: he shall smite thee with a rod, and shall lift up his staff against thee, after the manner of Egypt. The Assyrian shall smite Israel with a rod and lift his staff against them after the manner of Egypt. **Isaiah 10:28-32 He is come to Aiath, he is passed to Migron; at Michmash he hath laid up his carriages: (29) They are gone over the passage: they have taken up their lodging at Geba; Ramah is afraid; Gibeah of Saul is fled. (30) Lift up thy voice, O daughter of Gallim: cause it to be heard unto Laish, O poor Anathoth. (31) Madmenah is removed; the inhabitants of Gebim gather themselves to flee. (32) As yet shall he remain at Nob that day: he shall shake his hand against the mount of the daughter of Zion, the hill of Jerusalem. The Assyrian will march through from Northeast to Southwest toward Jerusalem. He will conquer the Israelite areas of Aiath, Migron, Michmash, Geba, Ramah, Gibeah, Gallim, Laish Anathoth, Madmenah, Gebim, and Nob on his way to Jerusalem. **Isaiah 30:30-31 And the LORD shall cause his glorious voice to be heard, and shall shew the lighting down of his arm, with the indignation of his anger, and with the flame of a devouring fire, with scattering, and tempest, and hailstones. (31) For through the voice of the LORD shall the Assyrian be beaten down, which smote with a rod. The Assyrian will be destroyed by the voice of the Lord. **Isaiah 30:33 For Tophet is ordained of old; yea, for the king it is prepared; he hath made it deep and large: the pile thereof is fire and much wood; the breath of the LORD, like a stream of brimstone, doth kindle it. The place of Tophet will be where the Assyrian will fall by the voice of the Lord. Tophet is a place in the southeast end of the valley of Hinnom south of Jerusalem. It is a dark place of ancient pagan worship with human sacrifices that became a trash dump for continual burning in Israel. **Isaiah 31:8-9 Then shall the Assyrian fall with the sword, not of a mighty man; and the sword, not of a mean man, shall devour him: but he shall flee from the sword, and his young men shall be discomfited. (9) And he shall pass over to his strong hold for fear, and his princes shall be afraid of the ensign, saith the LORD, whose fire is in Zion, and his furnace in Jerusalem. The Assyrian shall fall by a Sword, but not a man’s sword. He will fall by the Sword of the Lord’s mouth. The Assyrian’s men shall flee the Sword. The Assyrian shall pass over to his stronghold for fear.